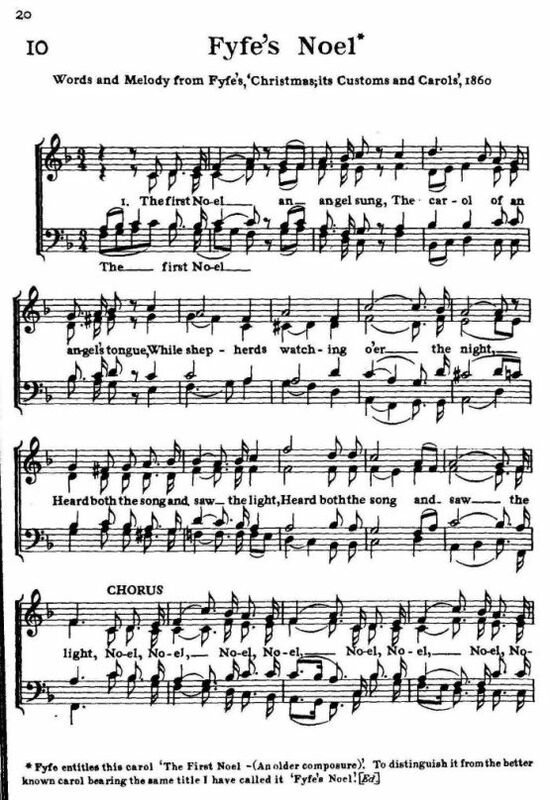 Source: Richard R. Terry, Gilbert and Sandys' Christmas Carols (London: Burns Oakes and Washbourne, Ltd., 1931), pp 26-27. And silent stand in solemn gaze. 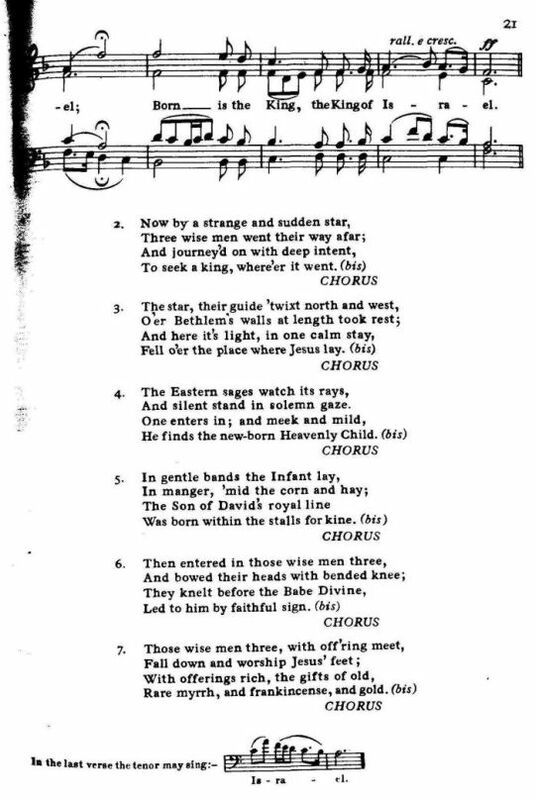 Sheet Music from Sir Richard Runciman Terry, Two Hundred Folk Carols (London: Burns Oates & Washbourne Limited, 1933), Carol #10, pp. 20-21. 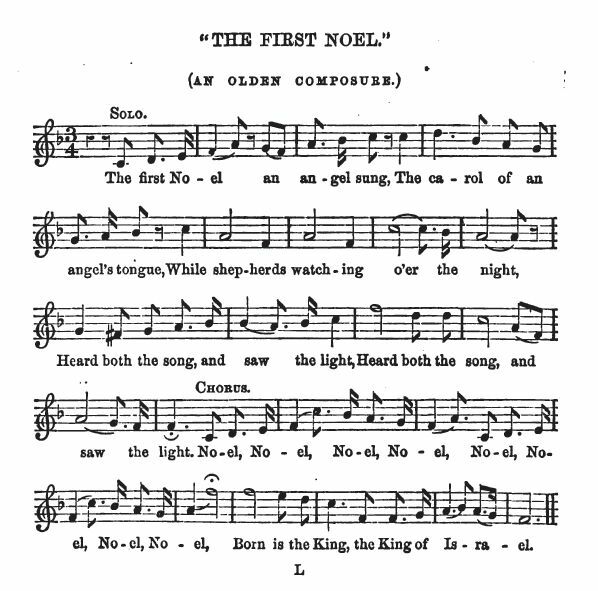 Fyfe entitles this carol 'The First Noel. - (An older composure).' 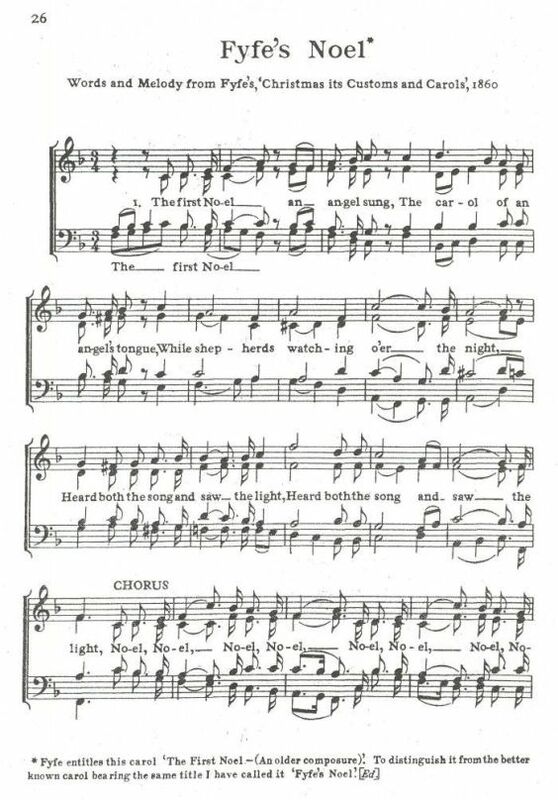 To distinguish it from the better known carol bearing the same title. I have called it 'Fyfe's Noel.' 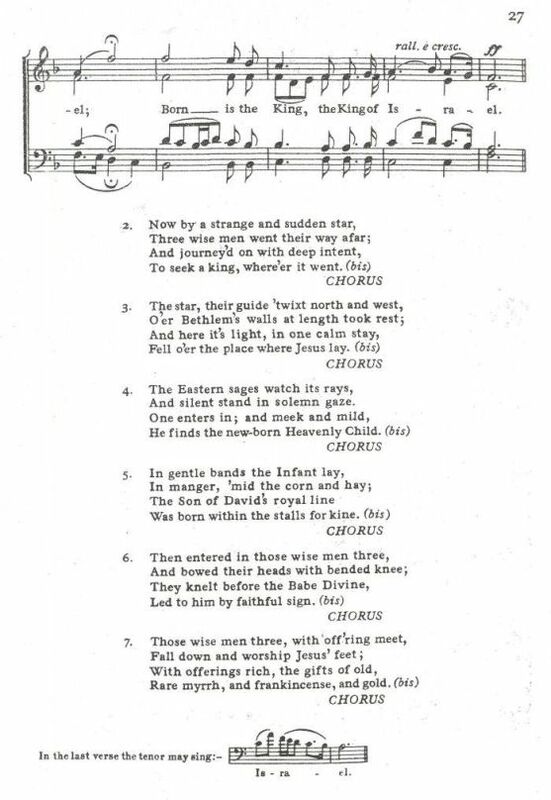 Sheet music from William Wallace Fyfe, Christmas: It's Customs and Carols (London: James Blackwood, 1860), p. 153.